Cohen, Samuel (2016). "Religious Diversity". In Jonathan J. Arnold; M. Shane Bjornlie; Kristina Sessa. A Companion to Ostrogothic Italy. Leiden, Boston: Brill Publishers. pp. 503–532. ISBN 978-9004-31376-7. 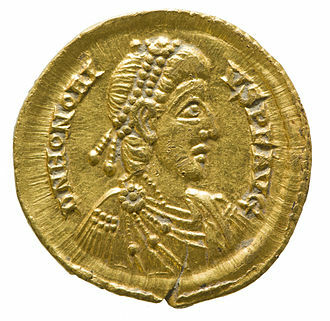 Marcian was Eastern Roman Emperor from 450 to 457. 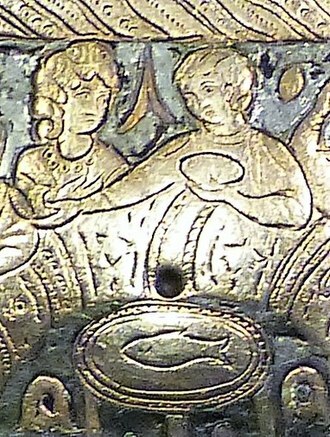 Marcians rule marked a recovery of the Eastern Empire, which the Emperor protected from external menaces, the Eastern Orthodox Church recognizes Marcian as a saint for his role in convoking the Council of Chalcedon. Marcian was born in 392 in Illyricum or Thracia, the son of a soldier, he spent his early life as an obscure soldier, member of a military unit located at Philippopolis. 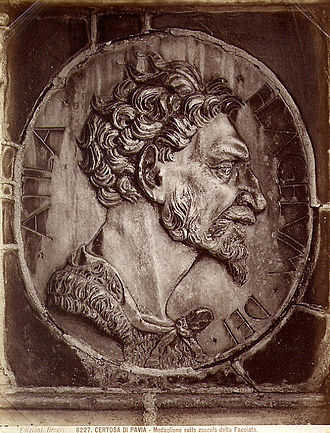 Marcian was dispatched with his unit for a war against the Sassanids, after recovering from his illness, he went to Constantinople, where he served for fifteen years as domesticus under the generals Ardaburius and Aspar. 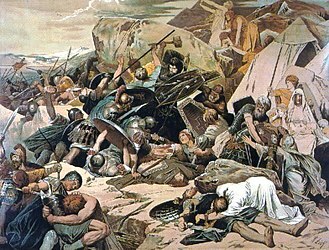 Aware that he could never capture the capital of Constantinople, Attila turned to the west and waged his famous campaigns in Gaul 451. 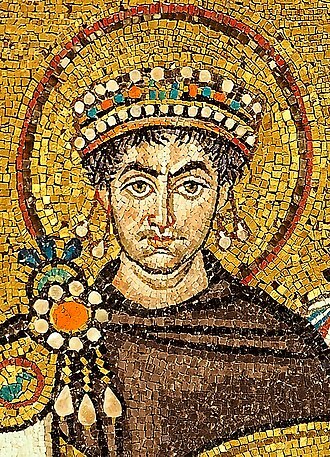 Marcian reformed the finances, checked extravagance, and repopulated the devastated districts and he repelled attacks upon Syria and Egypt in 452, and quelled disturbances on the Armenian frontier in 456. 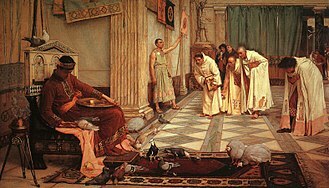 The other notable event of his reign is the Council of Chalcedon in 451, Marcian generally ignored the affairs of the Western Roman Empire, leaving that tottering half of the empire to its fate. 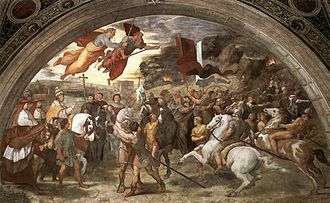 He did nothing to aid the west during Attilas campaigns, living up to his promise, shortly before Attilas death in 453, conflict had begun again between him and Marcian. However, the powerful Hun king died before all-out war broke out, in a dream, Marcian claimed he saw Attilas bow broken before him, and a few days later, he got word that his great enemy was dead. 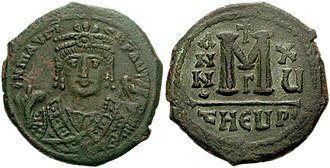 Marcian died on 27 January 457 of a disease, possibly gangrene and he was buried in the church of the Holy Apostles in Constantinople, together with Pulcheria. 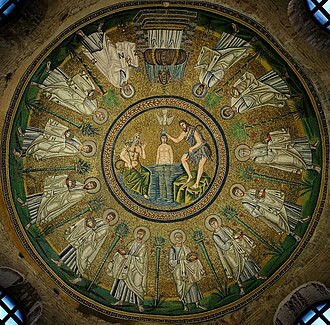 Despite his short reign and his writing off of the west Marcian is considered one of the best of the early Eastern Roman Emperors, the Eastern Orthodox Church recognizes him and his wife Pulcheria as saints, with their feast day on 17 February. Marcia Euphemia was the known daughter of Marcian, and she was married to Anthemius. 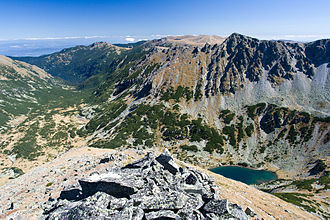 The identity of her mother is unknown, Pulcheria had taken a religious vow of chastity. 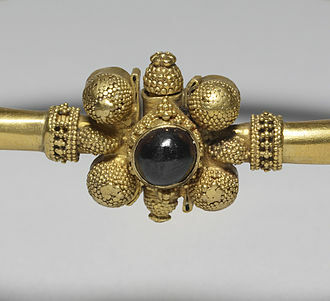 The second marriage was a political alliance, establishing Marcian as a member of the Theodosian dynasty by marriage. 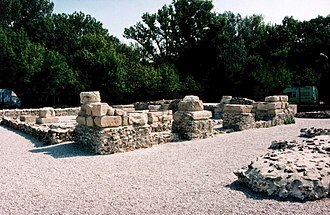 Zeno the Isaurian, originally named Tarasis Kodisa Rousombladadiotes /ˈtærəsᵻs/, was Eastern Roman Emperor from 474 to 475 and again from 476 to 491. Domestic revolts and religious dissension plagued his reign, which succeeded to some extent in foreign issues. 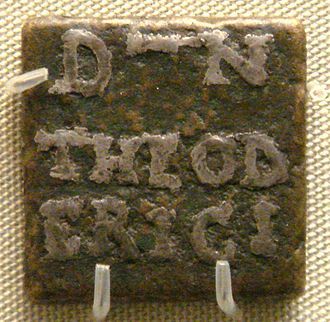 His reign saw the end of the Western Roman Empire under Romulus Augustus, Zenos original name was Tarasis, and more accurately Tarasikodissa in his native Isaurian language. Tarasis was born in Isauria, at Rusumblada, renamed Zenonopolis in Zenos honour and his father was called Kodisa, his mother Lallis, his brother Longinus. Tarasis had a wife, whose name indicates a relationship with the Constantinopolitan aristocracy, the Isaurians were a people who lived inland from the Mediterranean coast of Anatolia, in the core of the Taurus Mountains. 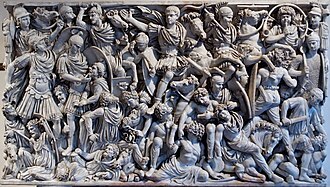 Like most borderland tribes, they were looked upon as barbarians by the Romans even though they had been Roman subjects for more than five centuries. 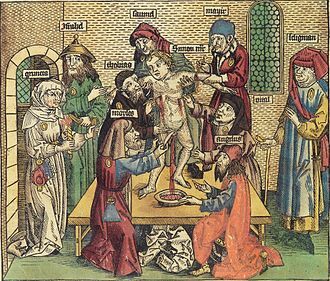 However, being Orthodox Christians rather than Arians, as the Goths and other Germanic tribes were, they were not formally barred from the throne. 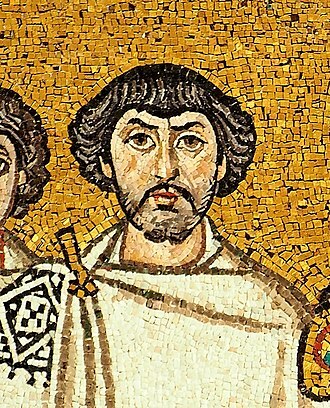 According to some scholars, in the mid-460s, Eastern Roman Emperor Leo I wanted to balance the weight of the Germanic component of the army and he thought that Tarasis and his Isaurians could be that counterweight, and called him, with many Isaurians, to Constantinople. This interpretation, has been contested, by mid-460s, Arcadia and Zeno had been living at Constantinople for some time, where Lallis and Longinus lived, the latter married to a Valeria, possibly a woman of aristocrat rank. 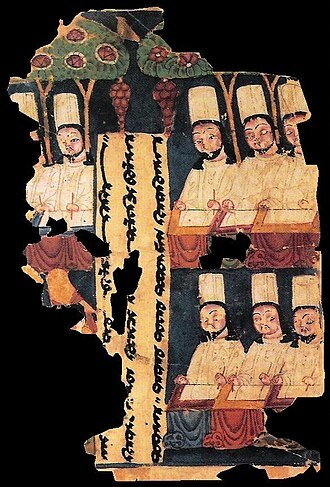 Through these letters, which Tarasis gave to Leo, the Emperor could dismiss Ardabur, as reward for his loyalty, which Leo praised with Daniel the Stylite, Tarasis was appointed comes domesticorum, an office of great influence and prestige. 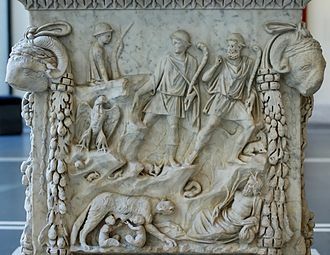 This appointment could mean that Tarasis had been a protector domesticus, either at Leos court in Constantinople, or attached at Ardaburs staff in Antioch. 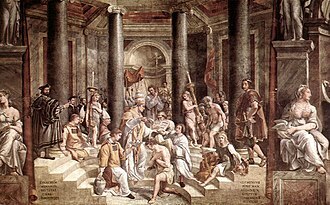 In 465, Leo and Aspar quarreled about the appointment of consuls for the year, it was on this occasion that Tarasis position was strengthened, as he became friend. 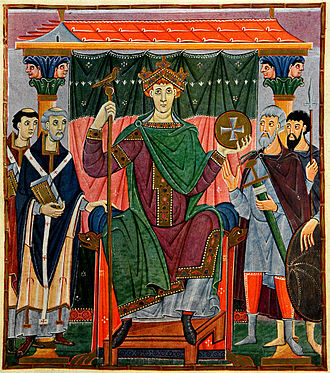 Illustration of Marcian, based upon coins bearing his image. 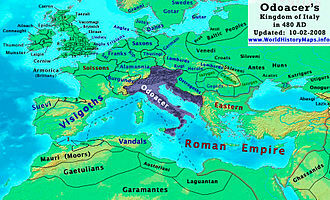 Independent Dalmatia – approximate extent of Marcellinus' Control (454–468) and Julius Nepos' Control (468–480); external states shown as during Nepos' late period. 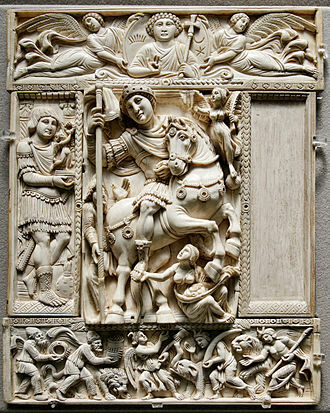 Consular diptych (540) of Justin, son of Germanus, cousin of Justinian. The Byzantine Empire at its greatest extent since the fall of the Western Roman Empire, under Justinian I in 555 AD.